As articles are non-fiction, you must have verifiable knowledge of the topic on which you want to write; and while being a published author is a plus, there are literally thousands upon thousands of published writers today. So you have to ask yourself what you can bring to the table that is unique. An article on “how to get published” isn’t likely to open any doors for you simply because it’s been done time and again. You need to break the topic down into smaller pieces. Perhaps you’ve written a sarcastic character readers are loving. You’re getting positive feedback, and as a result, the A+ reviews are pouring in for your book. You now have a premise for an article. Consider “Using Sarcasm for Laughs” or “How to Make Sarcastic Characters Loveable.” Think about what you did differently when you wrote that character. How did you make him or her likeable? Or maybe you’ve set your book in your own hometown. As most magazines love listicles, consider pitching a “10 Reasons to Visit My Hometown” or “10 Haunted Places in My Hometown.” Since you live there and you set your novel there, you are uniquely qualified to write about this subject. Consider each aspect of your novel(s) and the reviews. What stood out to readers? Which parts of your book are getting negative notes? How could you spin each of those points into articles? How about an article letting other writers know what to avoid since you’ve already learned the lesson? Or an article about how to learn and grow from negative reviews? While the ideas are starting to roll in, here’s one more thing to consider before you begin writing your article—where you intend to pitch it. Gear your article toward a specific magazine, so you can match its guidelines, including word count. One article may work for more than one magazine, but you’ll need to adapt to their guidelines as well, so that may mean trimming your article or adding another paragraph. 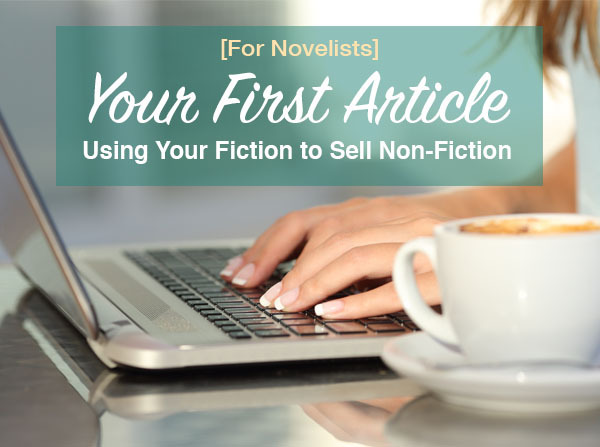 Once you’ve targeted a magazine, you’ll be eager to start writing your first article. Before you do, read several articles already published by that market to get a feel of what they are interested in. You do not want to pitch a how-to article when their guidelines make it clear that is not where their interest lies. In addition, don’t start out by pitching a different take on an article they’ve already published. Since you’re new to this arena, it’s doubtful you will know more than the author of the published article. Right now, you’re still learning, and your goal is to get your foot in the door. To do that, you will need to take baby steps. As I write mostly suspense with creepy villains, the first article, “Making Your Villain Vile,” came directly from my experience building those characters. It was something I had experience with, so it came naturally to me. The second article, “Making Your Talent Work for You,” came from a time in my life when I had to rely solely on my writing income. I wanted to encourage other writers to do the same. And finally, my most recent sale is to The Writer for “Call to Action,” which is a training article about using more action verbs and leaving out the unnecessary parts of fiction. It comes out in July of this year. When you’re writing your article, you need to decide ahead of time what your reader’s takeaway will be because, most of all, every article needs a purpose. What are you trying to convey to the reader? What will they learn from reading your article? Unless you’re writing a personal essay, you need to give readers something they can take away from the article. A great article will linger in the reader’s mind long after they’ve finished reading it. That is your goal. With that, I offer you one more piece of advice. Be willing to start with smaller magazines, and work your way to the top. Don’t shoot for a $1500 payout before you’ve written several articles. You need time to find your voice in this new arena. With practice, you’ll be ready to tackle those articles that offer a big payday. Until then, keep writing and keep submitting. You’ll find that with each one, your talent will increase and so will your bank account. 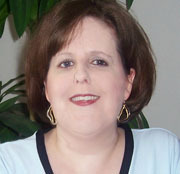 Rachel Carrington is the author of over fifty novels and has written articles for The Writer, The Writer’s Journal, FundsforWriters, Writers Weekly, and more. Readers can find her online at www.rachelcarrington.com. Rachel is also an instructor for WOW! Women On Writing. Check out her upcoming courses on the Classroom Page. Copyright © 2016 wow-womenonwriting.com All rights reserved.